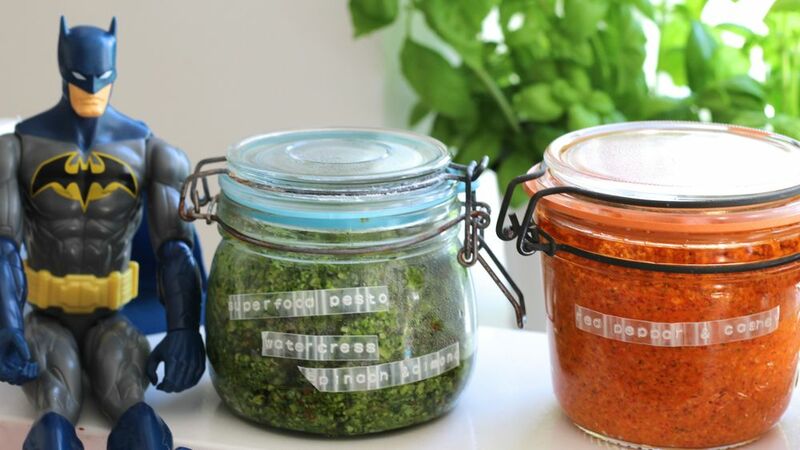 Super greens, nuts, healthy fats: you can cram lots of good things into a homemade jar of pesto. 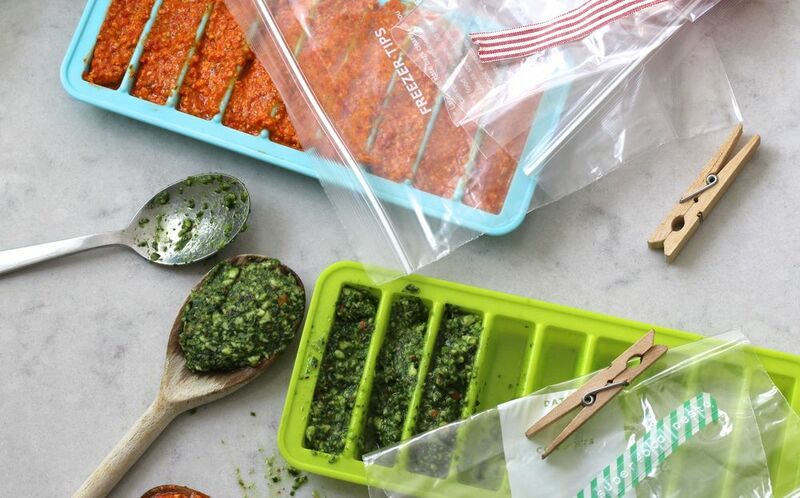 It'll keep in the fridge for a week under a thin layer of oil (or you can freeze portions in ice cube trays then pop out and store in freezer bags to reheat gently as instant pesto when you need it). Toss through hot pasta (little shapes like orzo can be ready in next-to-no-time) or try in our infinity sandwich. 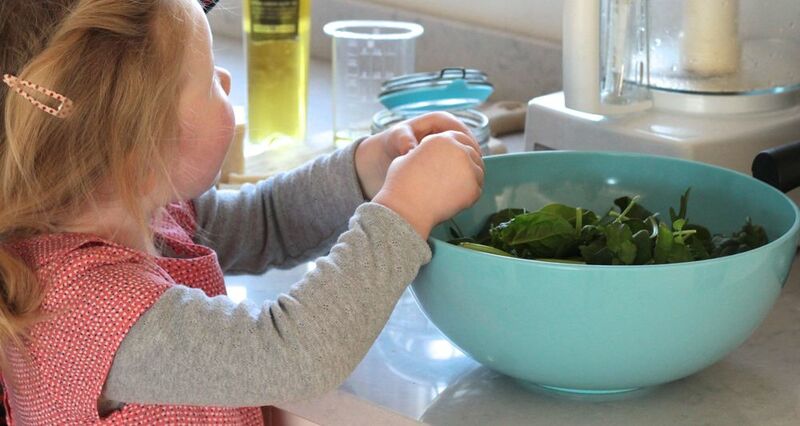 Most kids are happy to switch-up standard basil pesto for one of these blends and they're very easy for little ones to make with you - just make sure they know not to touch the processor's sharp blades. 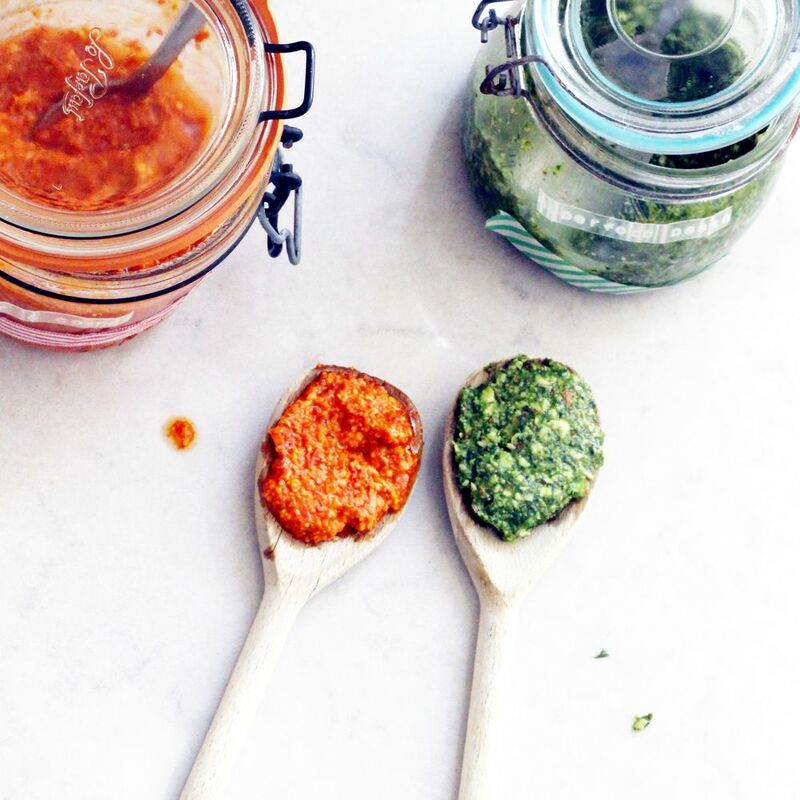 Taste before spooning into jars and add a bit more oil, cheese or seasoning to get the blend you fancy. Throw a handful of basil into the processor with 75g pine nuts, ½ a small clove of garlic, 2 tbsp olive oil and 4 tbsp Parmesan. Season with salt and pepper, add a drained 450g jar of roasted red peppers (like this one) and blend.